Welcome to ELOC 13-15 Babe Ruth League Baseball! Recommended for ballplayers ages 13-15, as of April 30, 2019. Pre season warm ups (not mandatory), just getting together to work out the cobwebs and get ready for season and meet the coaches. Assessments (mandatory), come in full baseball attire; cleats, long pants, hat and catchers gear if you plan to be a catcher. Practices will begin the week of the 18th and games should start first/second week of April. 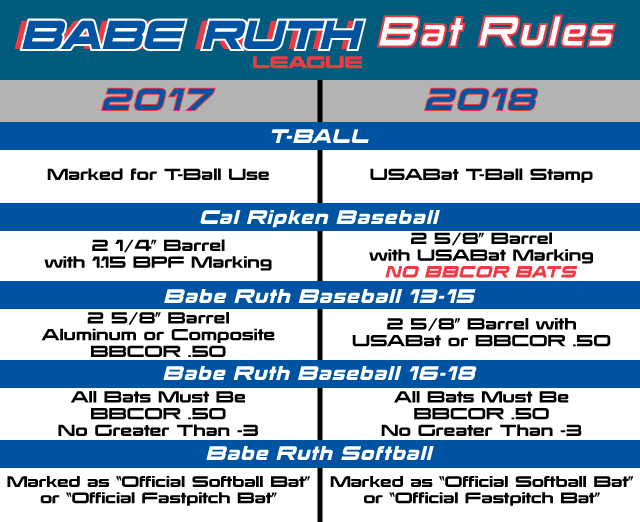 Babe Ruth Baseball League was created for ballplayers ages 13-15 who wished to continue their baseball playing experience beyond the age of 12. This is where players get their baseball cleats muddy for the first time on standard 90' diamonds under Official Baseball Rules used by Major League Baseball. In this division, teams are eligible to enter tournament competition and move along the tournament trail, culminating in a World Series.